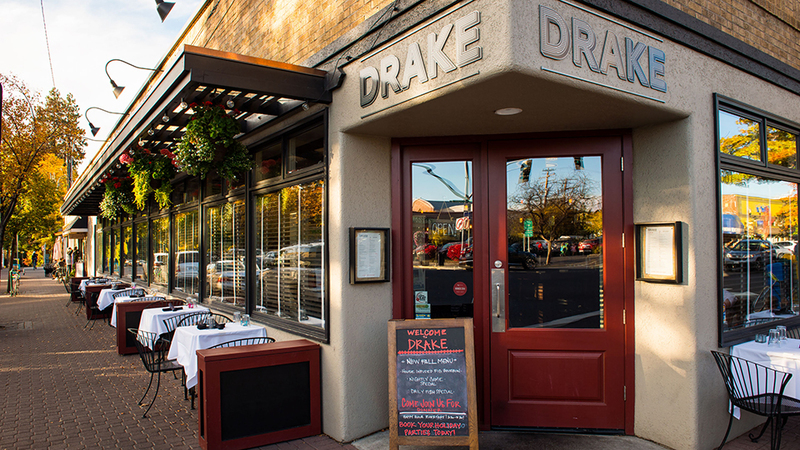 Popular from the day it opened in 2013 on the corner of Wall St and Franklin St downtown, Drake has continued to fill its tables and earn a loyal following. They say they’re serving up “creative and inspired comfort food” and it’s hard to disagree. With a menu that features fried chicken, a terrific burger and milkshakes for dessert, they strike a nostalgic note, but they’ve also got carrot ‘hummus’, poutine (seasonal) and a grilled kale salad on the menu to keep things fresh and live up to the concept of traditional-with-a-twist. They describe themselves as one part retro neighborhood café and one party elegant bistro. Popular for date nights and special occasions, they’ve got outdoor seating under hanging baskets in the beating heart of downtown in the summer, and a warm welcome and a duck fat Sazarac for the colder months. Don’t underestimate the delicious power of their savory popcorn, featuring a proprietary spice blend, that starts every meal.